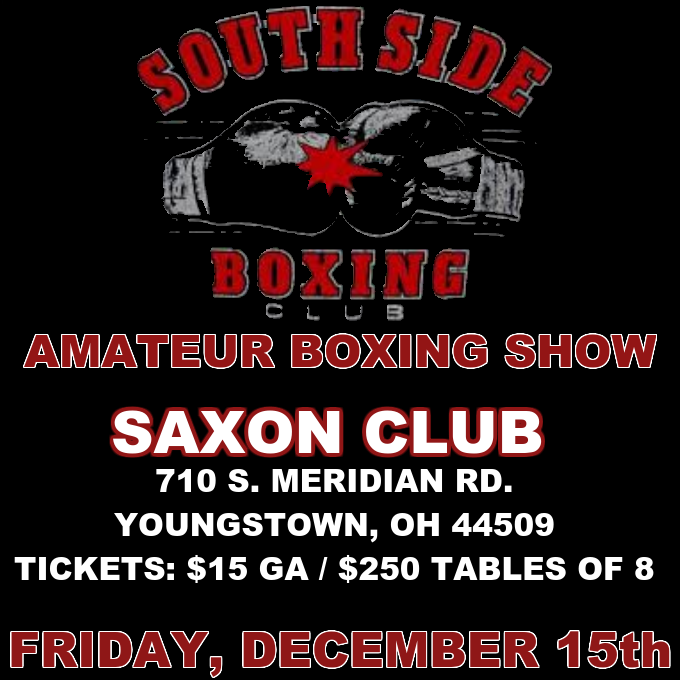 Jack Loew's Southside Boxing Club will be holding hosting an amateur boxing show this December 15th at the Saxon Club located on South Meridian Road in Youngstown. Tickets for the event are currently on sale for $15 for general admission and $250 for tables of 8. 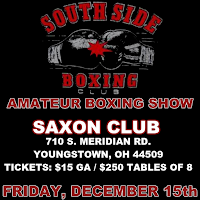 Expected to be in action will be the stable of amateur fighters from Southside Boxing Club including Jacorian Dent, Jackson Behun, Brayan Colon, Jose and Juan Jauregui, and more. This event will also mark the last fight for Ryan Williams. Williams, a Liberty High School wrestling coach who turned to boxing to get back into shape has turned into a crowd favorite in recent months. Also slated to be in action will be a handful of amateur fighters from the surrounding region. We will have more details in coming weeks.